The Cabana Man Experience! 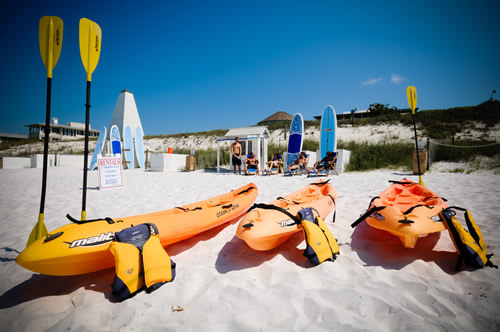 We have been providing one of the most exciting beach environments for nearly three decades in the famous Town of Seaside, Florida. 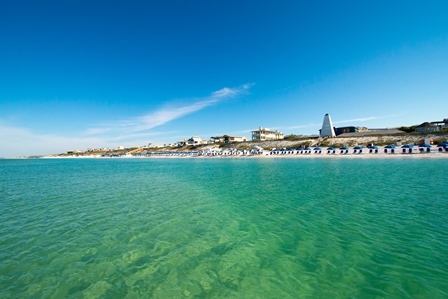 From the breathtaking views, red brick roads, and award winning architecture to the white sandy beaches, Seaside is a very special vacation town that folks never forget and almost always return year after year. We pride ourselves in being one of many reasons our guest return year after year. 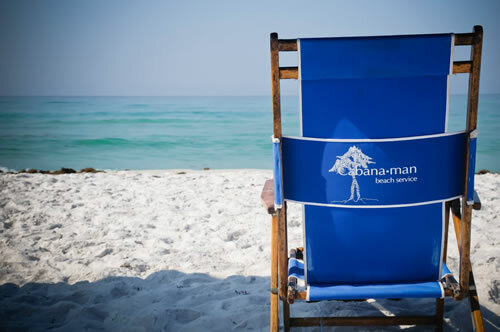 The Staff at Cabana Man is a wonderful compliment to your experience providing world class comfort and services on the shores our white sandy beaches. The equipment is promptly setup and ready by 9 AM *weather permitting* and taken down by 5 PM before Memorial Day & 6 PM throughout the summer – removing the equipment is a daunting task and we start the removal everyday *weather permitting* around 4:30 PM and finish by 6 PM. While it is the goal of Cabana Man to provide the best experience possible we do take safety very seriously and on very rare occasions we may close umbrellas and move or stow chairs during lightning & high wind threats.